The victim died from his injuries. NEW YORK -- Police confirmed they have arrested the alleged gunman, a known MS-13 gang member, in a deadly shooting at a subway station in Queens on Sunday. The entire disturbing incident was caught on camera. 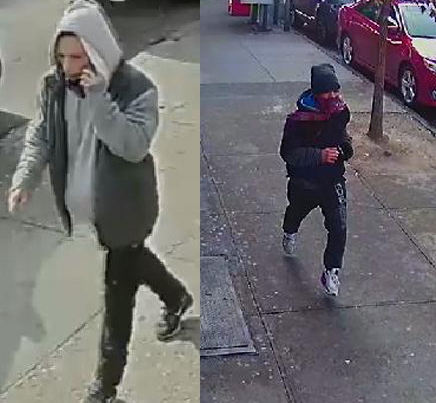 The shooting happened around 12:45 p.m. at the 90th Street Station at Roosevelt Avenue and Elmhurst Avenue in Jackson Heights. Investigators say the incident stemmed from a confrontation that started on a Manhattan-bound 7 train involving at least three individuals and the victim. "At some point, this confrontation turns physical, and as the train approached the 90th Street Station, the dispute spills onto the platform," NYPD Chief of Detectives Dermot Shea said. "There (on the platform) is what you see in the widely circulated viral video. A gun appears, and we have an individual shot. We believe approximately five or six shots are fired during this incident, striking the victim multiple times in the face." The video showed the men wrestling with the victim on the ground. Punches were thrown until the man in the gray jacket stood up and pulled out a gun. Eyewitness News has frozen the video there, because, in the next few seconds, the gunman fired the weapon six times, killing the victim. Subway riders ran from the terrifying scene. The victim, 20-year-old Abel Mosso, was pronounced dead at the scene. Police said he had also been arrested previously as a gang member, although it was not MS-13. Police arrested the suspected gunman, 26-year-old Ramiro Gutierrez, on Monday morning. Shea said that Gutierrez is known to police as an MS-13 gang member. "He has been arrested before in New York City and he has been part of a criminal group gang case before in New York City," Shea said. Shea said investigators do not know what led to the shooting, but they believe it is gang-related. Two other suspects remain on the run, and police released images of these wanted for questioning in the case. One business owner said witnesses rushed into his store for safety, and he locked the doors behind them. "We just heard gunshots and then people rushed downstairs, and then even one girl was crying, and I guess she saw it, rushing into my store and ran into the back," owner Simon Lee said. Shea said they have seen a number of gang-related incidents in parts of Queens recently. "It's not the first time we saw MS-13, but we have seen them in a few troubling incidents or they are suspected in a few troubling incidents throughout Queens in the last year or two," he said. Crimes have ranged from burglaries to drug dealing, he said. Shea also added that crimes in general and on subways remain at record lows. "The subways are safe," he said.